The Old Suzuki Row House Gate stands within Hikone's third district, facing Hikone Castle's inner moat. 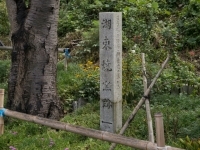 The home of a middle class samurai family with a stipend of over 300 koku of rice once stood here. In the 1836 "Illustrated Map of All the Castle Town," there is mention of the Suzuki family's Shigemochi Gonjuro the 5th. 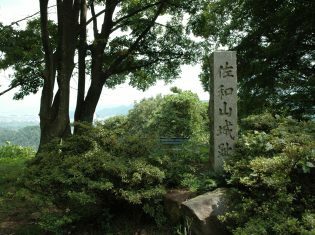 In Shigemochi's time, his land (stipend) was worth 350 koku of rice, and he worked at the Hikone Domain school as manager of books and documents, and as caretaker of the daimyo's extra residence. The row house's facade was once 21 meters in length, with a depth of 55 meters, but the main house has since been destroyed, and today only the row house gate remains. The row house gate stands at a length of 16 meters along its longitudinal beams, and 4 meters deep along its cross-beams, and is a building with kirizumi gables (which lack a bottom edge). The gate entrance itself is to the right of the front side of the building, which contains one room to the right of the gate, and three small, connected rooms to the left of the gate entrance. These rooms would have been the rooms of attendants and maidservants, or else used as a stables, or for storage. The top half of the building's walls are whitewashed, and their lower section features wooden siding, with latticed windows installed in important locations. The roof ridge beam has an ink inscription dating from 1862, confirming that this is a building from the Bakumatsu Period (mid-19th century). In Hikone Domain, it appears that the structure and size of row houses was determined by the wealth and social standing of their occupants, but this building is such an archetypical example of a Hikone Domain middle class samurai family residence gate that it was designated a Hikone City Cultural Property in 1977.